As you may know, filmmaker Manish Acharya (Loins of Punjab) passed away on Saturday. We are trying to get an initial head count for the venue and catering for a memorial service. Please RSVP here if you would like to attend. New Jersey’s public television network is in danger of going dark. The Governor has threatened to cease funding Jan 1. Help SAVE NJN! Like · 926 people like this. Click ‘like’ and Purina Veterinary Diets® will donate $1 (up to $50K) to Adopt-a-Pet.com’s Veterinary Care Fund until we reach $50K. Like · 46,102 people like this. Want A New Place to Live? Life is grand at our luxury rentals in Jersey City; prices start from $1750 net effective per month. Request an appointment today! 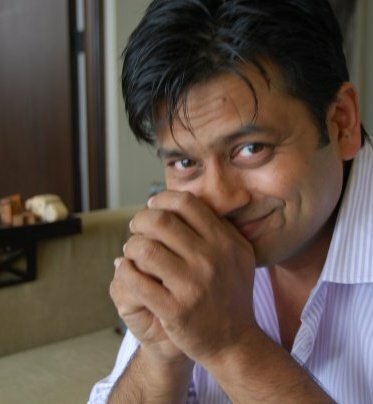 As you may know, filmmaker Manish Acharya (Loins of Punjab) passed away on Saturday. We are trying to get an initial head count for the venue and catering for a memorial service. Please RSVP here if you would like to attend. Date & Time TBD. Viewers going through withdrawal as time runs out on Sunil, the patient on HBO’s “In Treatment” played by the Indian actor Irrfan Khan, can breathe easier knowing there will eventually be an end to their pain. (Sunil’s final session will be shown on Monday night at 9:30.) Mr. Khan, whose interpretation of a grieving Bengali widower won critical accolades, has just been cast in two high-profile film projects: Marc Webb’s reboot of the “Spider-Man” franchise and Ang Lee’s adaptation of “Life of Pi.” Both films are to be released in 2012. In the untitled “Spider-Man” film Mr. Khan will play Nels Van Adder, one of the villains, alongside Rhys Ifans’s Lizard, who has designs on Peter Parker. In “Life of Pi,” adapted from the fantasy novel by Yann Martel, he will portray the adult version of Pi, a 16-year-old zookeeper’s son shipwrecked in the Pacific and cast adrift in a lifeboat with a Bengal tiger. In “Spider-Man” you’re playing a character not that many people have heard of. What can you tell us about Van Adder? Is that his name? These science-fiction names don’t mean a lot to me. He’s a character who, I think, was not in the comics or perhaps a minor character. I’ve read some pages, but the whole script hasn’t been made available to me. How did you get the role? My manager told me that the director Marc Webb was approaching us. I spoke with him, and he sounded very engrossed, and I was interested. I’m expectant and really looking forward to it. Have you had to do any training in preparation for the part? And what about being in 3-D? You don’t do training for action. You’re waiting for action. You just strap yourself into a harness and go. Two dimensions, three dimensions — “Avatar” really made a difference in terms of 3-D, but beyond that I haven’t thought about it. Tell us about “Life of Pi.” How did that come about? “Life” is almost happening. I’m about to leave for Taiwan from here, to go into pre-production. It’s a challenging part, and Ang Lee is directing. He approached me while “In Treatment” was going on, but I didn’t have the mental space to really think about it. When he came to India he contacted me, and it started sinking in that this was happening, and I should prepare myself to be a part of his story. The way he sees the story will definitely throw challenges. I will never be able to guess the kind of texture he needs from the character. That will be my experience, what he demands from me, how I will cope with it. That’s what the approach will be about. You’ve spoken about how you weren’t sure whether your time filming “In Treatment” in the United States had any positive impact on your career. What do you think now? I don’t know whether “Life of Pi” is because of “In Treatment,” but “Spider-Man” definitely is. The thing is, the American film industry is so huge, it penetrates all around the world, and you start feeling viable as an actor. And the kind of work and the kind of challenges it throws in front of you — that’s really engaging. You always want to be a part of a system that gives you the biggest audience. You’re one of the first Indian actors to successfully cross the divide between Bollywood and Hollywood in films like “The Namesake,” “A Mighty Heart” and “Slumdog Millionaire.” Why you? I happen to find myself easier with my craft at the right time. The time is that the Indian film industry is changing. We have started these multiplexes, the middle classes are coming in to see what the studios produce, and a new breed of directors is changing the face of the film industry. So you don’t feel that you have some unique attribute that attracts American audiences? I would never try to analyze this. It’s a mystery and a fascination for me that something you do here just goes from heart to heart. I don’t want to put it into a mathematical explanation of how it happens. The great thing is that it’s happening, and that’s fascinating: how on earth a boy from a small town in India does something, and it reaches to people in America and they get moved by it. Has success in the United States changed your image in India, for better or worse?